Spinal Decompression in New York City has really taken off! I know of at least 7 doctors that offer this treatment in Manhattan right now. Many of these doctors buy an overpriced table in hopes of making a fortune as promised to them by ads in the back of Chiropractic magazines. This technique is highly effective for someone suffering with back pain or Disc herniation but it is not a panacea. I have to be selective with the patients I choose, I only choose patients that I know will benifit from care. In my opinion just to put anyone on the table just to keep the table full is unethical. 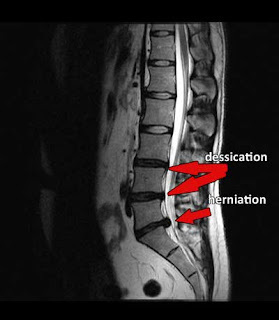 This website has a wealth of information about non-surgical spinal decompression. I explore both the benifits and the risks,Albeit the risks are virtually non-exsistent. DRX 9000 is a commonly used table along with Accuspina and 3d active trac. All of these tables do the same exact thing, I really like to educate patients along with doctors not to fall for marketing gimicks claiming that their table was invented by NASA. Manhattan is a competitive area and many new doctors are using spinal decompression to treat disc herniations but I still feel that if you practice with ethics that people will clearly pick me over a table. The magic is not in the name or the manufacture. Spinal Decompression is gaining popularity and I want it t become the treatment of choice when it comes to treating back pain associated with Disc herniaton or spinal stenosis.